The Victoria Lagoon squatting run, located approximately 20kms north-east of Cavendish on the edge of a natural water feature, was taken up by Peter Parton in 1845. It was then taken over by John and Margaret Philip, nee Robertson, members of a very large, important and enduring dynasty in the Western District. Two of their four children born at Victoria Lagoon, Jane (1851-53) and Catherine (1852-54) died there and the graves survive across the creek from the homestead site. The siting of the graves across a stream, distant and yet visible from the homestead, with the mountains as a backdrop is typical of the earliest pioneer period and was probably influenced by the picturesque aesthetic of which the parents would have been aware. Peter and Margaret Philip moved on to other larger properties in the families' ownership. Their son, John Philip Junior, returned to the area purchasing Englefield in 1901, which he expanded substantially. Managers probably occupied the Victoria Lagoon homestead for the new owners, Thomas and Andrew Chirnside, the owners of nearby Mokanger from 1859. The property was subdivided relatively late in the nineteenth century when Richard Bryant purchased it. It is not known when the homestead was abandoned or demolished. It is now an archaeological site. Victoria Lagoon is of historical significance to the Southern Grampians Shire. Victoria Lagoon is of historical significance for its associations with the important Philip and Robertson families and, later, with the Chirnside family. It is of particular historical significance as an example of the way the earliest pioneers dealt with death, especially the death of their children. The physical condition of the grave site is very good. The archaeological potential for the homestead site is very good. 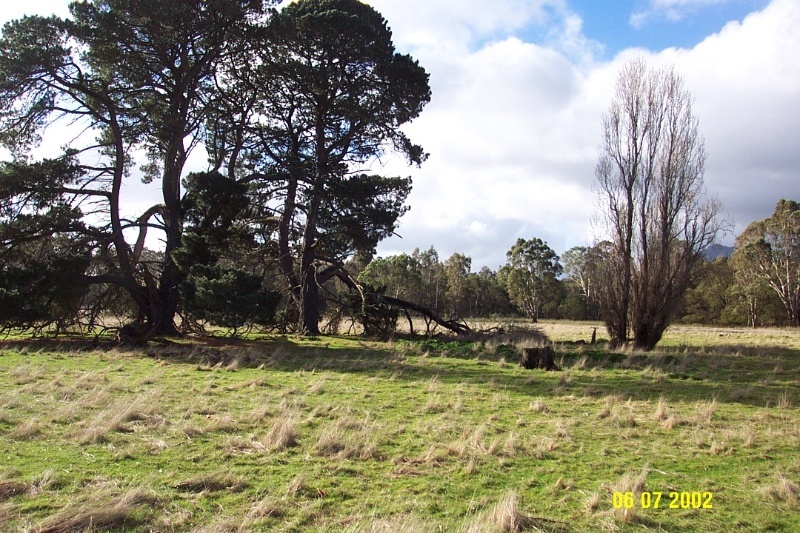 The remains of the Victoria Lagoon homestead are located in a paddock about 200 metres south of Oakley's Road, and can be identified by the large, mature Pinus radiata trees which mark the site. The stone footings of the house and an outbuilding are clearly visible in the grass, together with fence posts and the outline of a driveway or track. The remnant garden consists of the Pinus trees, two Populus trees, and several patches of spring bulbs. 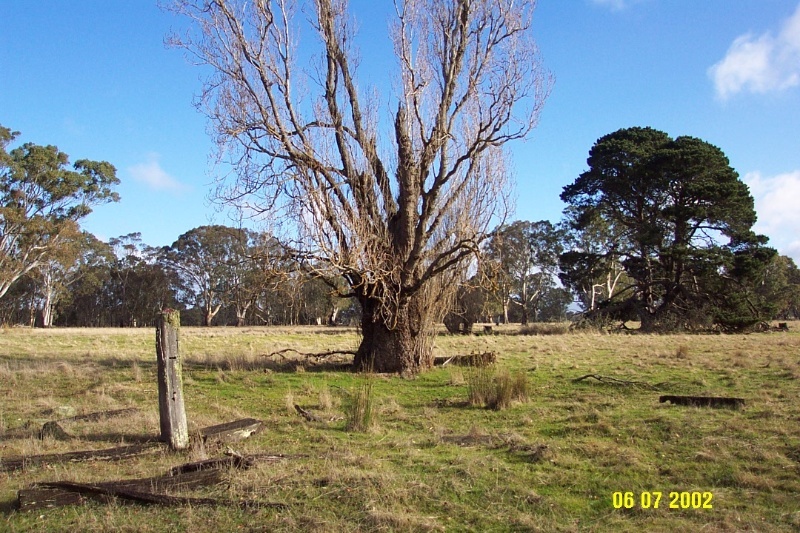 The graves are located about 250 metres north-east of the homestead, across a creek gully. They are sited within an enclosure approximately 3 metres square, bounded by a fence of galvanised tubular steel pipe. Within this fence, the concrete pillars of an earlier fence remain intact, although the railing has disappeared. A bronze plaque, erected in 1984, mounted on a large stone records the names of the deceased: Catherine Philip, born 1852; died 1854 Jane Philip, born 1851; died 1853. The homestead is an archaeological site with few above ground remains and some mature but senescent trees. The graves are intact and the modern gravestones and surrounding works are in good condition.